A new WHO/Europe report collates and reviews surveillance data on the consumption of antimicrobial medicines in 11 non-European Union countries and Kosovo* from 2011–2014, gathered through the WHO Antimicrobial Medicines Consumption (AMC) Network. The report indicates that consumption across the surveyed countries varies widely. It concludes that the variation recorded may not be explained by population health problems alone, and calls for further investigation. The quantitative data provide a starting point for better understanding the use of antibacterials in clinical practice. This requires further quantitative and qualitative studies in primary care and hospital sectors. Trends in consumption data must be interpreted with an understanding of local contexts, such as changes in regulations over time (including enforcement of prescription-only status), data sources used to generate consumption estimates, local resistance patterns, and the potential impact of interventions directed at health care professionals and consumers to change practices. The new report also provides insight into the types of antibiotics used within the category of antibacterials for systemic use (Anatomical Therapeutic Chemical code J01). Beta-lactam antibiotics are the most commonly consumed subgroup of antibacterials. 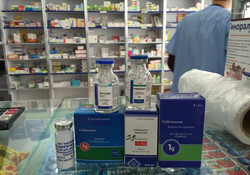 Cephalosporins and quinolones, which are considered second-line antibiotics, are also consumed in high volumes in some of the surveyed countries. Countries also reported high levels of consumption of injectable formulations of antimicrobials. “Imprudent use of antibiotics is an important contributor to antibiotic resistance. The systematic gathering and analysis of data over time on the consumption of antimicrobials helps us identify areas where improvements are needed to address the overuse of antibiotics. The assembling and sharing of data from the AMC Network is also a sign that national governments are taking antimicrobial resistance seriously as a public health issue,” says Dr Hans Kluge, Director of the Division of Health Systems and Public Health at WHO/Europe. National monitoring of consumption helps provide centralized data to ensure that strategies to address antimicrobial consumption and antimicrobial resistance are effective. Efforts are closely coordinated with the European Centre for Disease Prevention and Control so that data are comparable and can provide a pan-European overview of trends. The AMC Network was established in 2011 to assist non-European Union Member States in setting up or strengthening national surveillance. Albania, Armenia, Azerbaijan, Belarus, Kyrgyzstan, Montenegro, the Republic of Moldova, Serbia, Tajikistan, Turkey and Uzbekistan, as well as Kosovo*, are currently engaged in the AMC Network. All contributed to the antimicrobial consumption data published in the report. Data used in the report were collected by national experts from data sources including import and customs records, sales records and estimates of local manufacturing. The next meeting of the AMC Network is scheduled for 3–4 July 2017. There, all 17 participating Member States and Kosovo* will share analyses of antimicrobial consumption data from 2015. They will also discuss methods for communicating findings on antimicrobial consumption to clinicians and other health care professionals. In 2015, WHO Member States adopted the Global action plan on antimicrobial resistance. An important element of the plan is monitoring the consumption of antimicrobial medicines. Monitoring the use of medicines is also a priority activity for WHO/Europe. Strengthening collaboration among Member States to improve access to medicines, and to ensure that medicines are prescribed and used responsibly, is on the agenda for the 67th session of the WHO Regional Committee for Europe, to be held in September 2017 in Budapest, Hungary. *In accordance with the United Nations Security Council resolution 1244 (1999).